Another stopmotion catch of a container ship transport containers. This time Ms-Renata in Rotterdam. 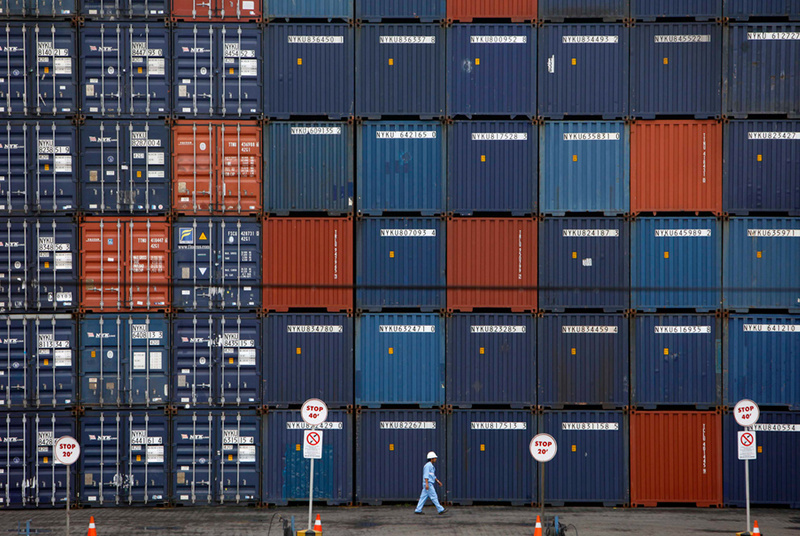 Very cool stop motion footage about a container ship sailing between Hong Kong and Singapore. 5 days sailing from Hong Kong to Singapore on a cargo boat. Song: Balance – Future Islands (http://vimeo.com/28190403). Filmed with GoPro HERO3: Black Edition (except the last 3 shots at the Singapore port where the GoPro HERO2 was used). 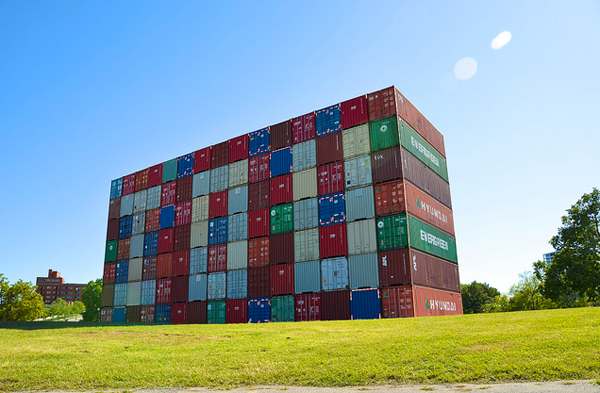 An interesting video about containerization. “IOU/USA is a temporary public monument for Memorial Hill Park designed by artist John Salvest. 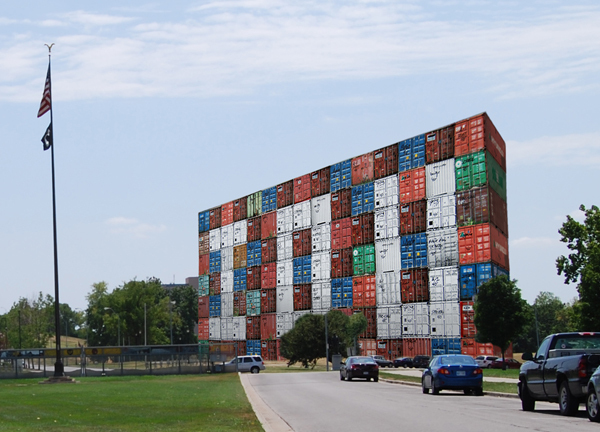 Towering over visitors at a height of almost seven stories, IOU/USA is comprised of 105 multi-colored steel shipping containers, stacked seven high and fifteen across.” Located in Kansas City, designed to reflect upon the current state of affairs, while resisting didacticism and an easy read along party lines.